On August 18, 1970, Angela Yvonne Davis’s name was added to the FBI’s Ten Most Wanted List for kidnapping, murder, and interstate flight. Davis was already a darling of the left for her membership in the Communist Party and outspoken support for the Black Panthers, which caused then-California governor Ronald Reagan to personally orchestrate the 26-year-old’s dismissal from a teaching post at UCLA. Being hunted by J. Edgar Hoover for a crime she clearly did not commit took Davis’s celebrity to a whole new level, instantly making her as famous or infamous, depending on your point of view, as revolutionaries such as Che and Mao. 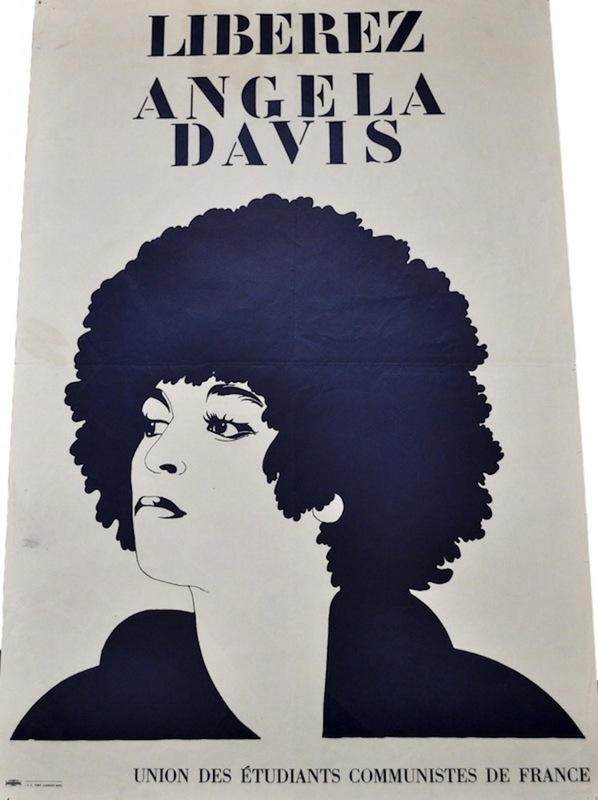 Almost from day one, posters were the way the world connected with Angela Davis. 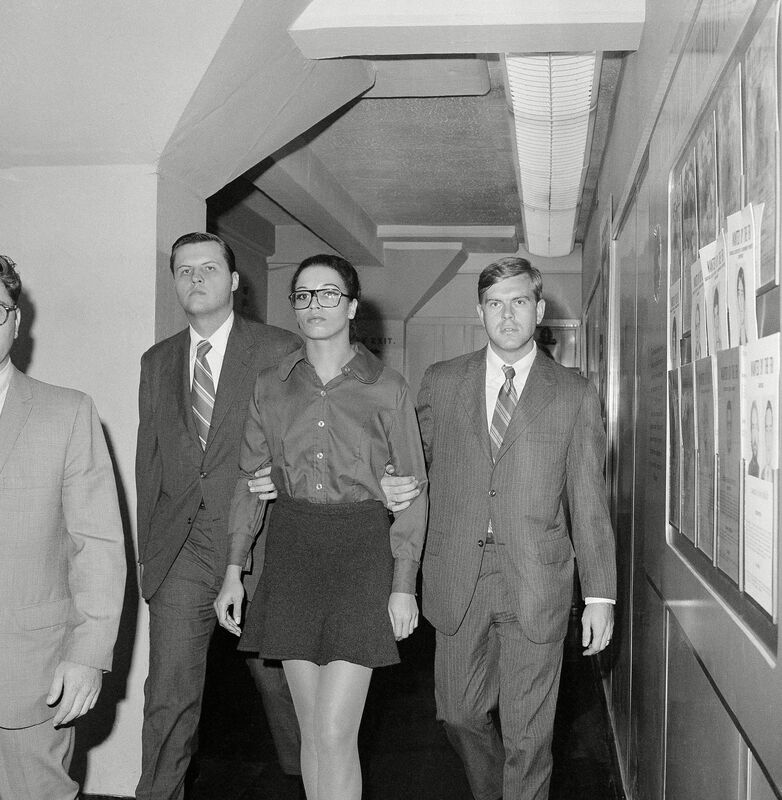 During the two months she was on the run, head shops did a brisk business selling reprints of the “Wanted” poster that graced the walls of post offices across the United States; by some accounts, Angela’s “Wanted” poster, with its appeal to call the FBI director personally at National 8-7117, was a better seller than hash pipes. 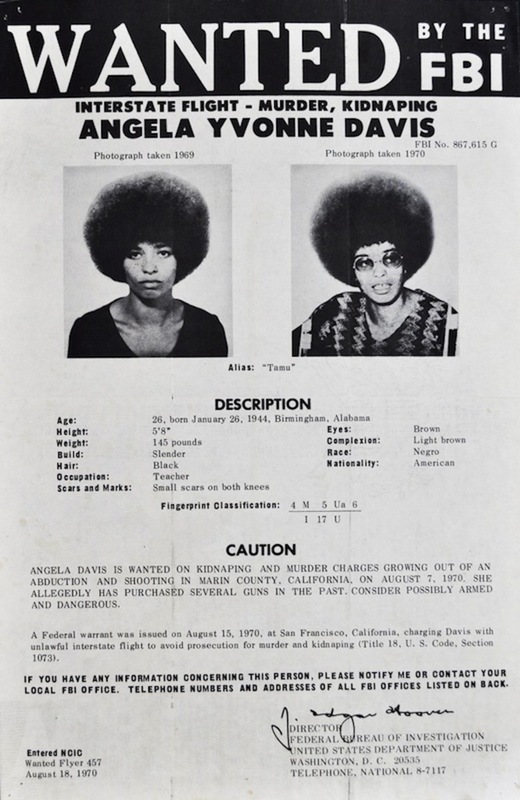 Above: Reprints of the FBI’s “Wanted” poster of Angela Davis graced the walls of many college dorm rooms in the fall of 1970 when Davis was on the run. 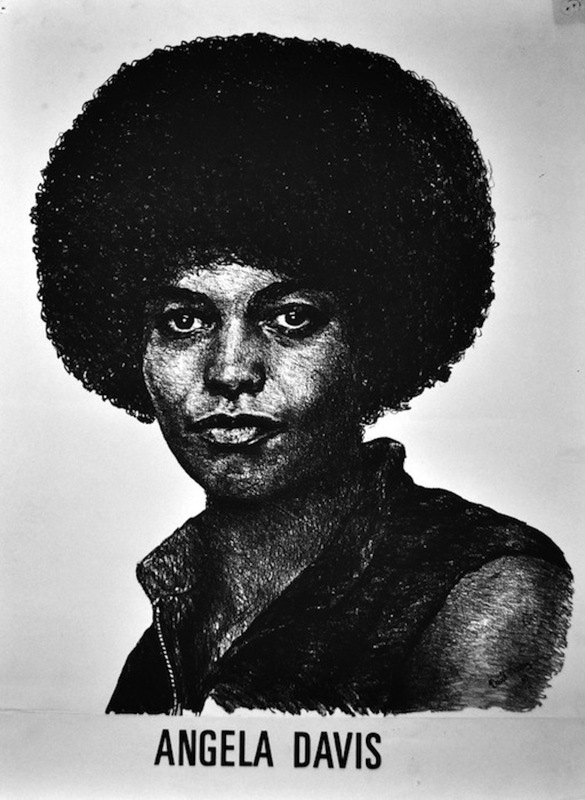 Top: Three versions of Félix Beltrán’s most famous image of Angela Davis, first printed in Cuba in 1971. On the local level, hundreds of committees in the U.S. and abroad agitated for her freedom. Lacking the platform of a former Beatle or the Rolling Stones, these grassroots groups expressed their support via countless posters and flyers. Crowned by a halo of hair, Angela, as the world soon came to know her, was frequently depicted holding a microphone, her unflinching, clear-eyed features speaking truth to power. Prior to her arrest, Davis had been an articulate advocate for what she called “the cause of freedom… the cause of my people,” and all those who were racially and economically oppressed. But it was Davis’s oppression (first she was fired from her position at UCLA for exercising her First Amendment rights, then she was denied bail for almost a year and a half when charged with a crime whose actual perpetrators were either in prison or dead) that made her a powerful voice of the protest movement, a symbol of social justice, and the face of political prisoners everywhere. To the chagrin, no doubt, of her detractors, her imprisonment only served to spread her message more quickly and widely. The most reproduced photograph of Angela was the one of her holding a microphone at a rally in the spring on 1970. 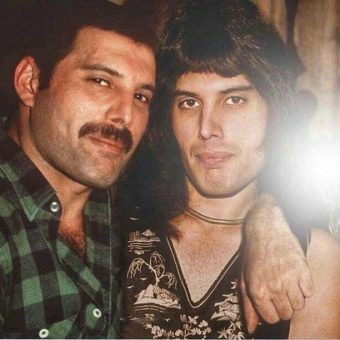 It was reproduced on page 24 of a “Life” magazine cover-story article, published on September 11, 1970, and titled “The Making of a Fugitive.” The photographer is unknown. The circumstances that led to Angela’s flight, capture, and imprisonment were hard to follow then, and are probably unfamiliar to most people today. The event itself unfolded on August 7, 1970, when a 17-year-old named Jonathan Jackson walked into the San Rafael, California, courtroom of Superior Court Judge Harold Haley, carrying a bowling bag and wearing a raincoat, despite the heat of the day. Nodding casually to the bailiff, the young man took a seat in the gallery to observe the trial of a San Quentin State Prison inmate named James McClain. Like Jackson’s older brother George, who was behind bars at Soledad State Prison, McClain was accused of murdering a prison guard. On the stand that day was Ruchell Magee, one of several San Quentin inmates who’d been brought to the new Frank Lloyd Wright-designed Hall of Justice building to testify at McClain’s trial. Within minutes of sitting down, Jackson abruptly stood back up, pulled a gun from under his coat, and ordered everyone to “freeze.” After the weapons in his bag were distributed to McClain, Magee, and a third San Quentin inmate named William Christmas, Jackson and his accomplices took five hostages—Assistant District Attorney Gary Thomas, Judge Haley, and three jurors—all of whom they intended to trade for the release of George Jackson and his alleged accomplices, known as the Soledad Brothers. 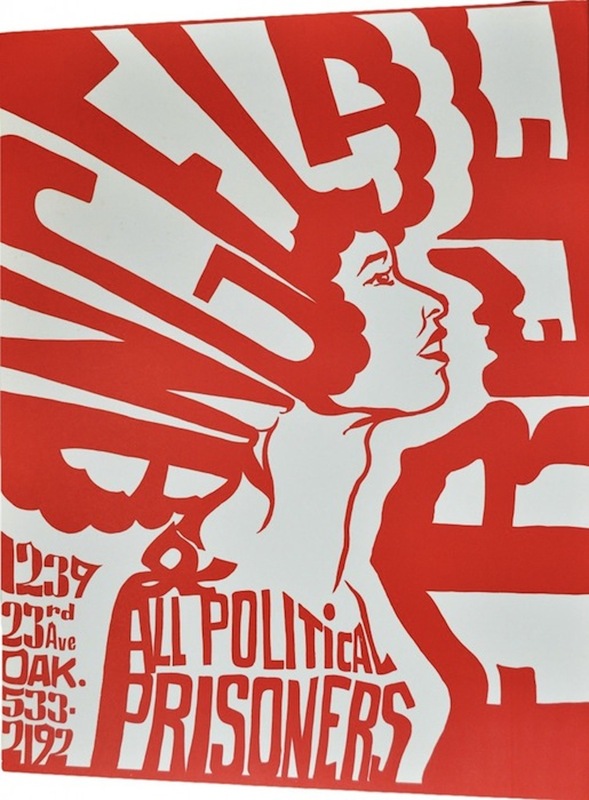 F. Joseph Crawford’s photograph of Angela in 1969 was the source for Félix Beltrán’s 1971 poster. Taping the barrel of a sawed-off shotgun to Haley’s neck, the nine made it out of the courtroom and as far as Jackson’s parked Hertz van. They were starting to pull away when a San Quentin guard, armed with a 30-30 rifle, shot the driver. Then all hell broke loose. As soon as the driver was incapacitated, District Attorney Thomas grabbed the man’s gun and shot the other three kidnapers inside the van, but not before someone pulled the trigger on the shotgun, blowing off, as one newspaper account put it, half of Judge Haley’s head. Meanwhile, sharpshooters peppered the vehicle with bullets (the judge was also shot in the chest, probably by a bullet that originated outside the van). In the end, Jackson, McClain, Christmas, and Judge Haley were dead, while the D.A., Magee, and one of the jurors were wounded. Miraculously, two hostages went unharmed. 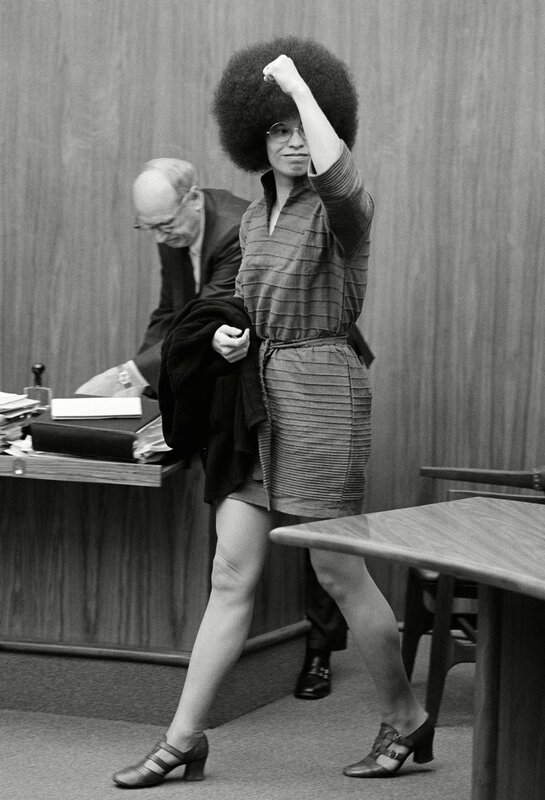 Three of the guns Jackson brought into Haley’s courtroom that day, including the shotgun, were registered to Angela Davis, who purchased the shotgun at a San Francisco pawn shop on August 5, just two days before the judge’s murder. Sometime between the 5th and the 7th, the shotgun was sawed off and added to Jackson’s arsenal. When “The Black Panther” put Crawford’s photo on its cover, they flopped the image. Almost two years later, on June 4, 1972, after a 13-week trial, Davis was acquitted on all three of the counts against her. Though letters between Davis and George Jackson were introduced as evidence of a motive on Davis’s part to have supplied weapons to Jackson’s younger brother, the jury believed the testimony of witnesses who stated that the guns had been purchased, as permitted under the Second Amendment, for security purposes at the headquarters of the Soledad Brothers defense committee. After the verdicts were read, Davis, as well as some of the jurors, cried tears of relief and joy. Tellefsen’s light-filled studio fairly brims with images of Angela, which stare back at you on everything from protest art to newspaper clippings, all of which are obsessively organized. Tellefsen has so many posters of Angela Davis, she gives them their own informal classifications. For example, there are examples in which Angela appears almost angelic, what Tellefsen calls the “black is beautiful” posters. “They were produced by the black community, for the black community,” she says. “It was really about the promotion of her image as a strong black sister.” Examples include posters by illustrator David Mosley. That certainly describes Tellefsen’s Angela posters. Most them were acquired in the usual ways (eBay, etc. ), but some of her Angelas came from the source herself. 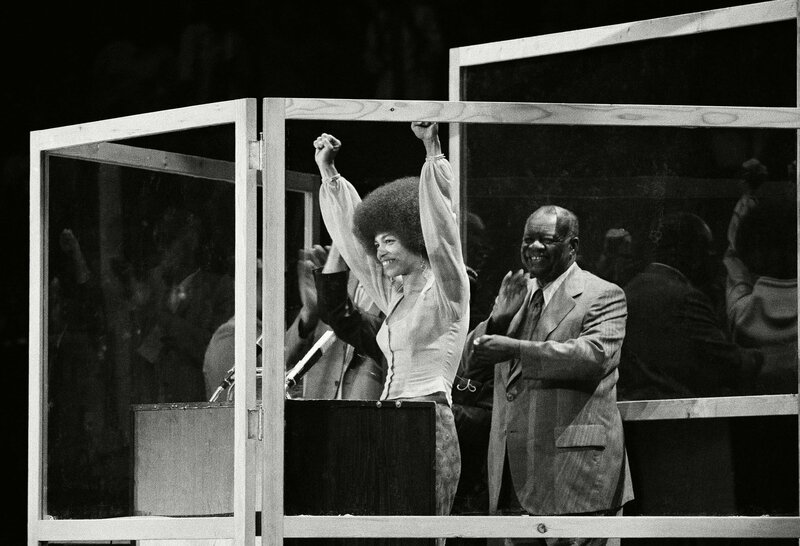 “We went to her storage unit,” says Tellefsen, recalling one particularly memorable visit with Angela Davis, “and she gave me all her extra posters. She had a ton of the fundraising ones,” Tellefsen adds. A poster printed in Cuba shows Angela breaking her chains. 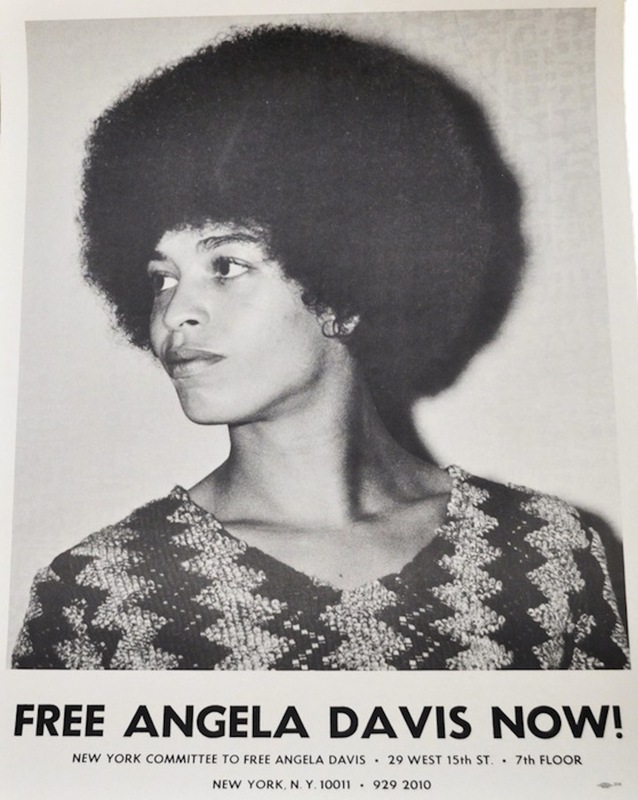 A French “Free Angela” poster highlights Davis’s beauty. 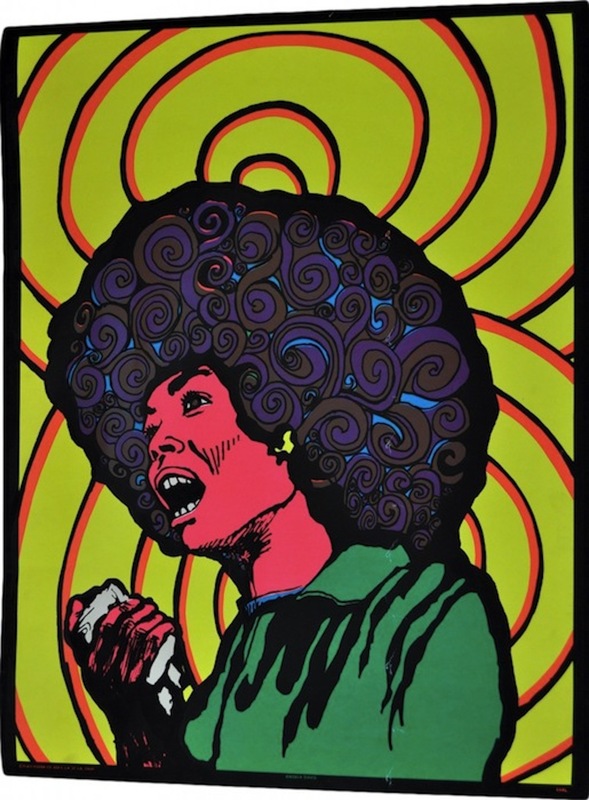 Recently, I joined the one-off club when I acquired my first Angela Davis poster, a three-color, 13 1/2 by 21 1/2 inch offset (or so I think) printed on very thin paper. While the actual date of its printing is probably impossible to pin down today, the person I acquired it from had had it since the 1970s, so it’s at least that old. Tellefsen may have one of the largest collections of Angela posters, but she doesn’t have one exactly like my fragile red, black, and blue sheet of paper featuring Angela’s stylized profile below the words “Libertad Para Angela Davis.” Her versions are all much smaller and have different credits on them, although they share the same designer, an artist named Félix Beltrán, who was living in Cuba in 1971 when orders came down from the Revolutionary Orientation Department of the Central Committee of the Communist Party, for whom he worked, to create a poster advocating for the release of a fellow Communist and revolutionary in the United States named Angela Davis. Back in 1971, Beltrán was one of Cuba’s leading graphic artists and designers (in the mid-1980s, he moved to Mexico, where he still lives). Along with René Mederos and Alfredo Rostgaard, Beltrán gave the graphic exports of Cuba their Pop Art, at times almost psychedelic, look. 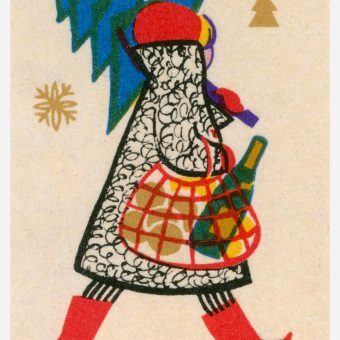 In stature, Beltrán was his nation’s Milton Glaser, directing the “identity design,” as he calls it today (via email and a translator) of the Cuban Pavilions at Expo 67 in Montreal and Expo 70 in Osaka. 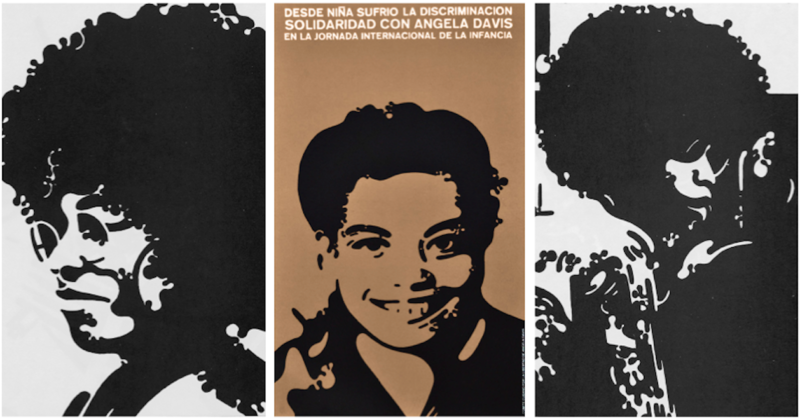 Two images of Angela that Félix Beltrán worked on in 1971 but never developed into posters (at left and right), plus a lesser-known poster (center) he created featuring an image of Angela as a teenager. 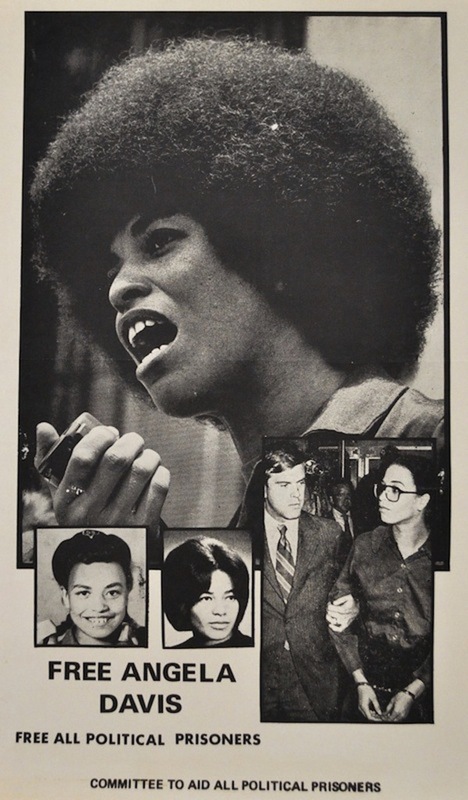 According to Beltrán, who says he has never spoken to Angela Davis, the Revolutionary Orientation Department supplied him with several photographs to use as sources for his poster. 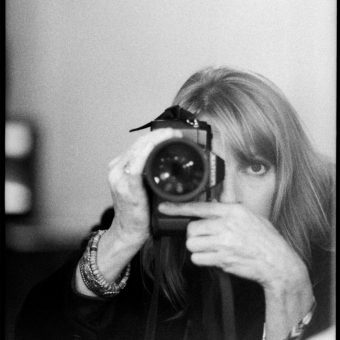 He tried a number of them, and several were printed, but the most famous one appears to have been taken from a photo that Tellefsen has identified as the work of F. Joseph Crawford, who snapped an image of Angela at a press conference in New York City on September 9, 1969. 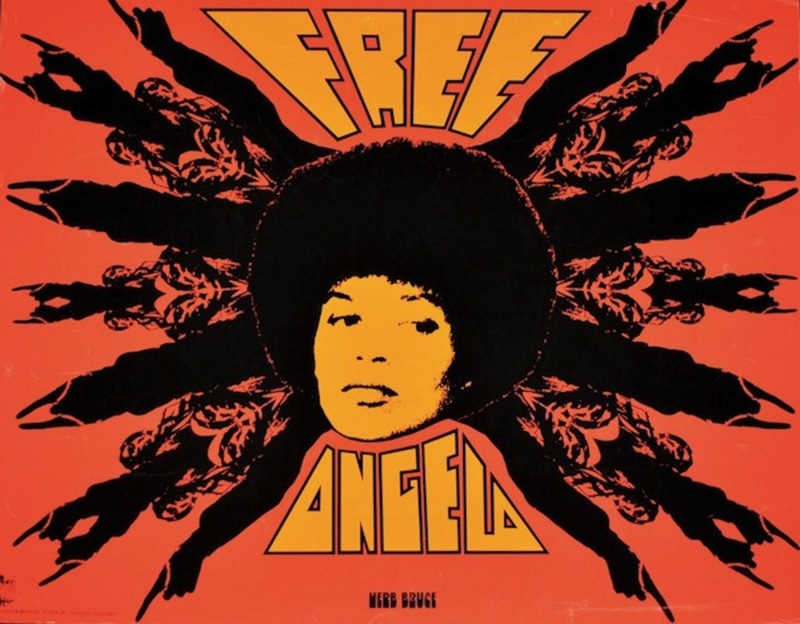 “That photo was used in several early posters produced by the N.Y. Committee to Free Angela Davis,” says Tellefsen. To my eye, it also looks like the source of Beltrán’s “Libertad Para Angela Davis” poster. Beltrán gave Crawford’s photograph a stylized look that abstracted the curls in Davis’s hair and some of the shadows on her face and neck. It was a style, Beltrán says, he had used in murals created for the Cuban Pavilion in Osaka, and it lent itself to screen printing, essentially replacing the tiny, halftone printing dots in his source image with expanded, ornamental drips and blobs that bled into fields of pure color. Those colors were deliberate, too. “The red color combined with blue,” Beltrán says, was supposed to evoke “the U.S. flag.” Except, fittingly, Beltrán’s Angela flag, as it were, was dominated by black rather than white. Angela with the microphone, psychedelic-style. 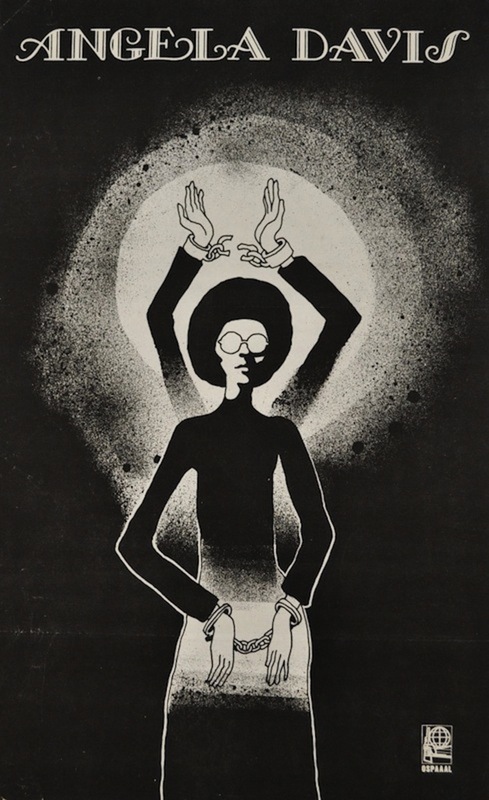 The original “Libertad Para Angela Davis” poster, Beltrán says, “was a screen-printed poster, on cardboard, not paper, and it was printed in several thousands.” Some of these originals were sent to other countries for duplication. “It is possible that the poster entered the U.S. through the Representation of Cuba at the United Nations, which had diplomatic immunity,” he says. Credits on Beltrán’s poster generally run up the lower-left side or at the bottom. Mine reads “Comte Por La Libertad De Angela Davis, Cuba.” “The original credit of the poster was for the ‘Revolutionary Orientation Department’; I think it was just like that,” Beltrán says, although he is not 100 percent certain. 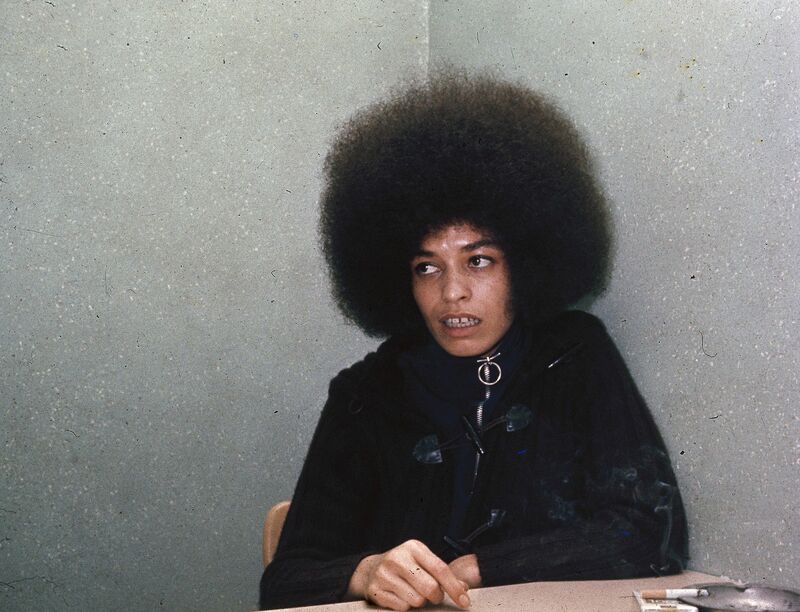 “I don’t have any of the first copies,” he says, “because all of my belongings were confiscated when I decided to live in Mexico.” But Beltrán does remember one detail about his original versus the subsequent reprints: Angela Davis’s “hairdo,” as he calls her Afro, occupied more space in his first printing. For what it’s worth, my Angela poster has more hair in the top-right corner than Tellefsen’s, but I will probably never know if that detail means anything. This head-shop-style Angela poster is similar to the one above it, but the message is unambiguous. 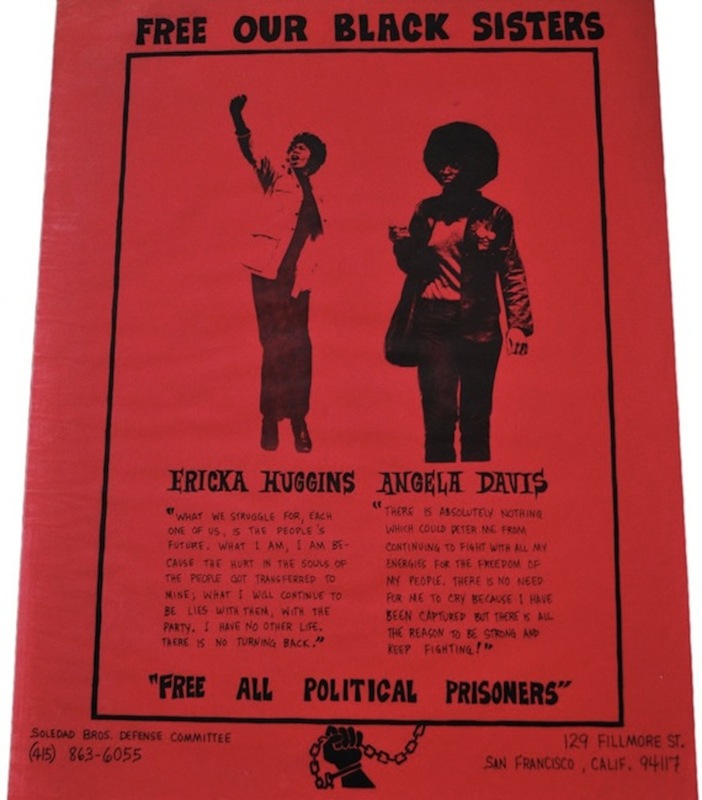 Angela was often paired on posters with Ericka Huggins, who was the leader of the Black Panther Party in Los Angeles in 1969, when she was arrested with party co-founder Bobby Seale. 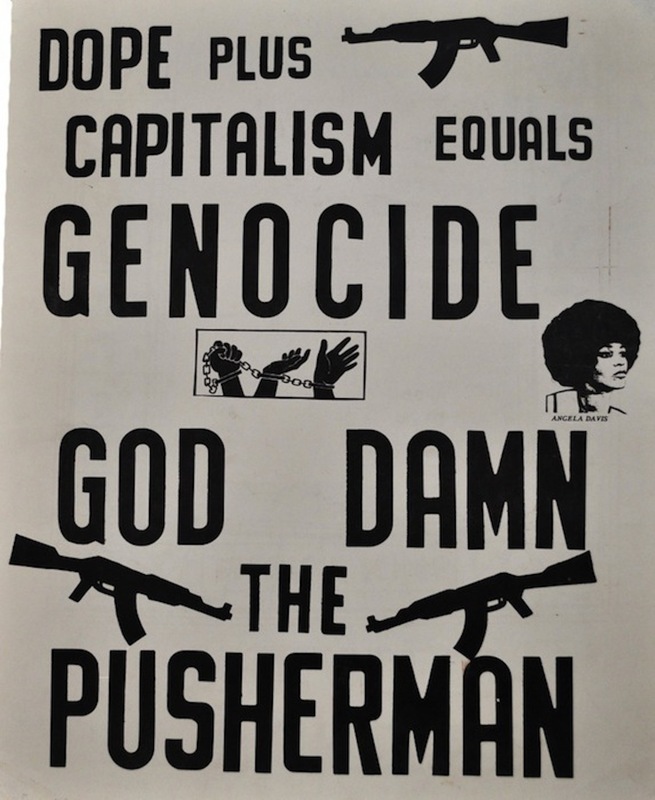 In the case of the Panthers, the messages promoted in The Black Panther newspaper included calls to boycott lettuce in support of the United Farm Workers, to vote for Black Panther Party co-founder Bobby Seale when he was running for mayor of Oakland, and to help the elderly through a program called Seniors Against a Fearful Environment. There were also lots of images that look straight out of the Occupy movement of 2011, such as Douglas’s 1974 collage of a corporate-logo’ed hand manipulating the strings of a puppetized caricature of President Gerald Ford, all against a background of the New York Stock Exchange transactions page from the New York Times. And, of course, there was Angela. 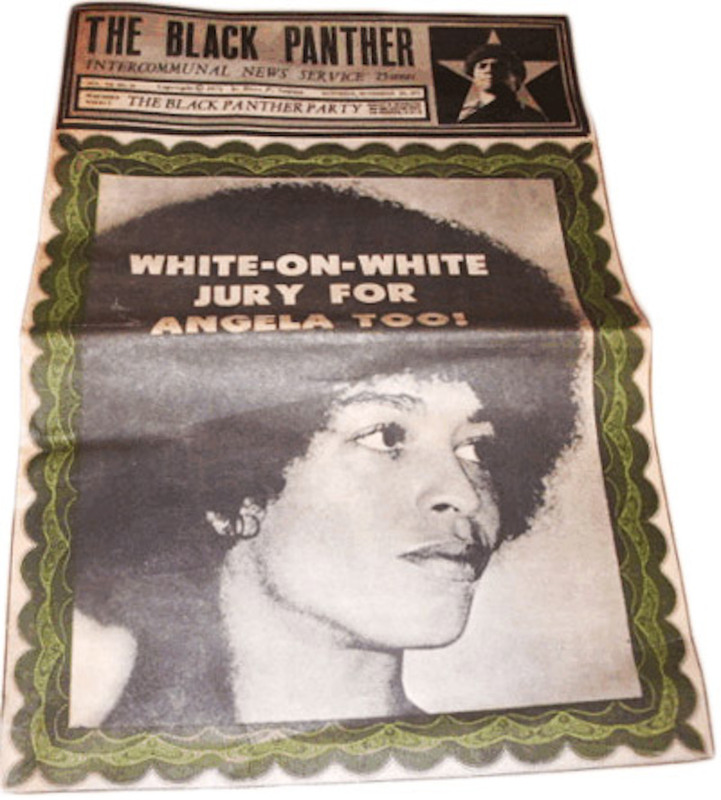 “We designed covers around her case, where her picture was used with ‘Free Angela’ and talking about the white-on-white jury with no people of her peers, those kinds of things.” In fact, the same source photo that Beltrán used on his poster ran on the cover of The Black Panther, only it was flopped. 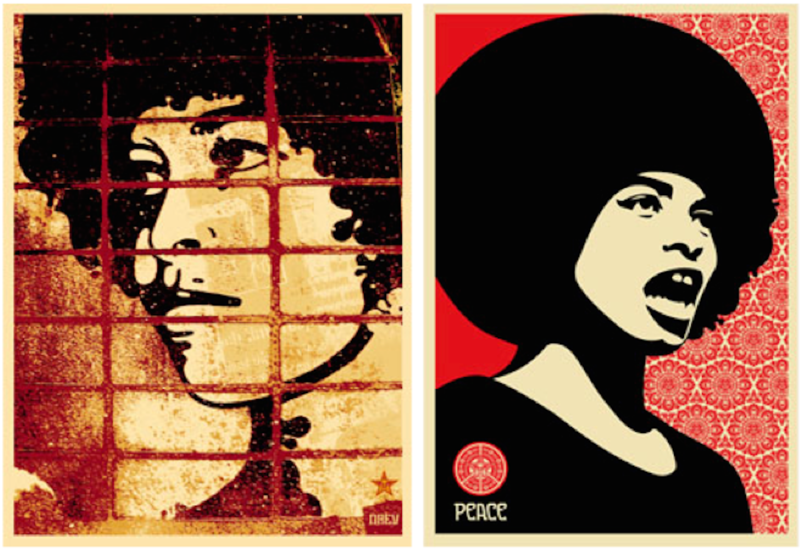 Artist Shepard Fairey has created numerous posters of Angela Davis. The one on the left, “Rough Angela,” 2003, was taken from Félix Beltrán’s famous 1971 poster. The one on the right, “Peace Angela,” 2005, is based on a Stephen Shames photo from 1972. More recently, in 2003, Shepard Fairey appropriated F. Joseph Crawford’s photograph, as re-imagined by Félix Beltrán, for a poster called “Angela Rough.” (Tellefsen has one of these, too.) Initially issued in a signed-and-numbered edition of 300, plus a metal version in an edition of just two, “Angela Rough” features a black-and-beige version of Beltrán’s Angela behind of grid of mud-red colored lines, like prison bars. According to ExpressoBeans.com, which has tracked 26 sales of “Angela Rough” over the last decade, the average resale price is about $250. 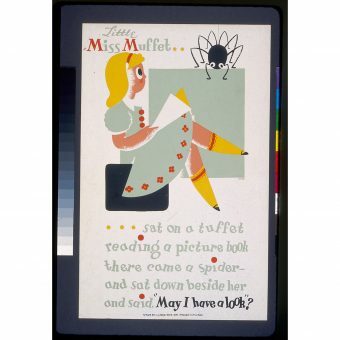 Davis’s image was sometimes used to signal the poster-maker’s allegiances. In this anti-drug, anti-capitalism poster, the hands in chains symbolize the Soledad Brothers. 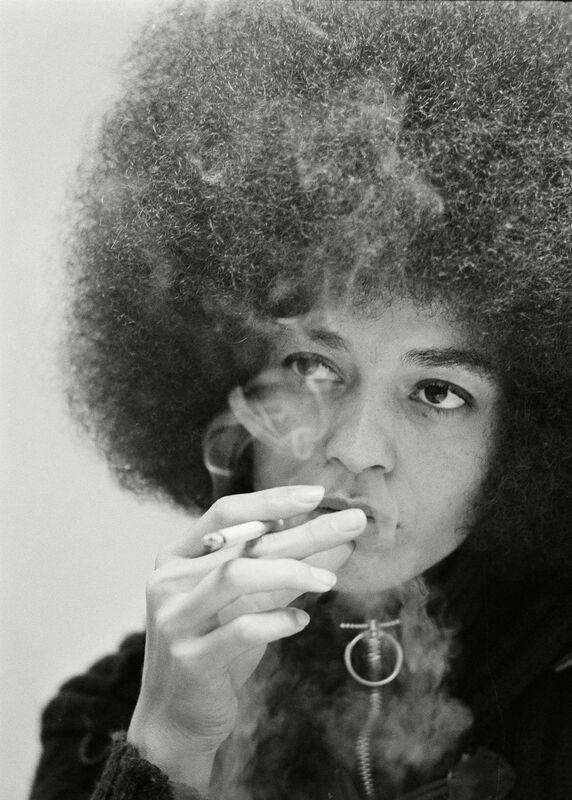 And how, you might wonder, does Angela Davis feel about all this? 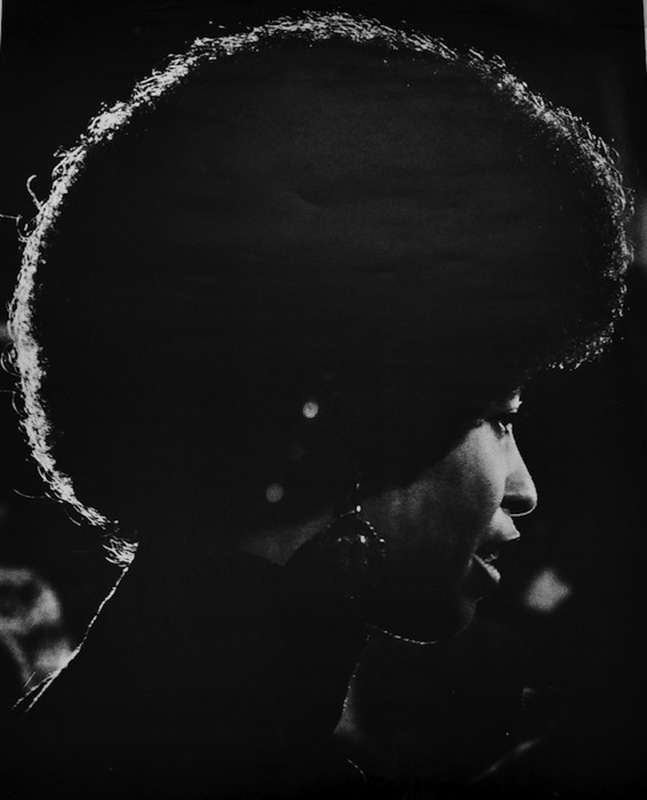 Well, despite repeated attempts, I was never able to speak with her, which means that like the provenance of my Angela Davis poster by Félix Beltrán, I may have to settle for hearsay evidence. 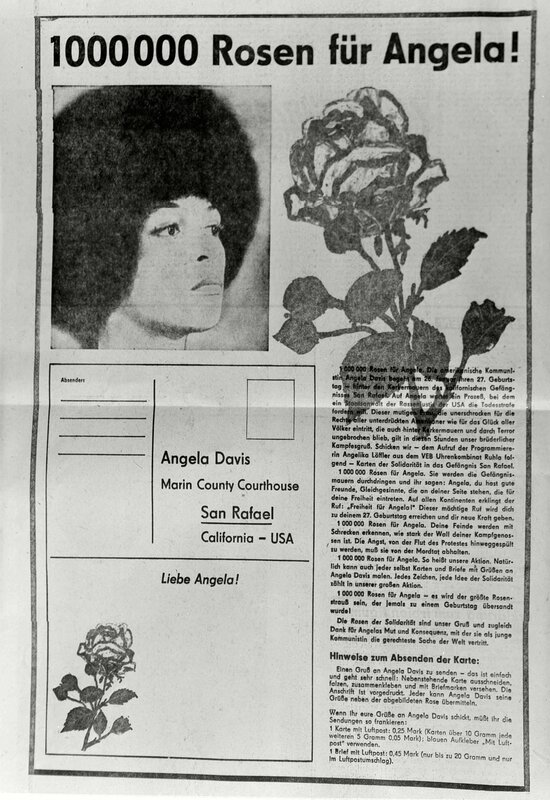 Posters of Angela such as this one were designed, in part, to deliver the message that black is beautiful. Read more from Ben at Collectors Weekly. We recommend: Hippie Daredevils, Psychedelic Rock Posters and When Pianos Fell From the Sky.